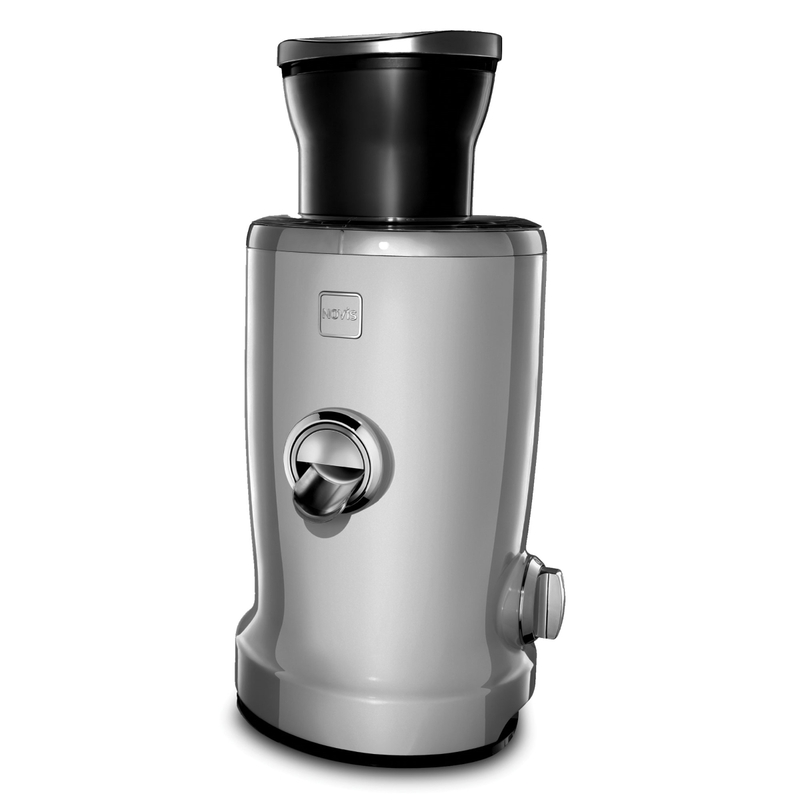 The Novis Vita Juicer is a designer multifunctional device for a natural and healthy lifestyle. 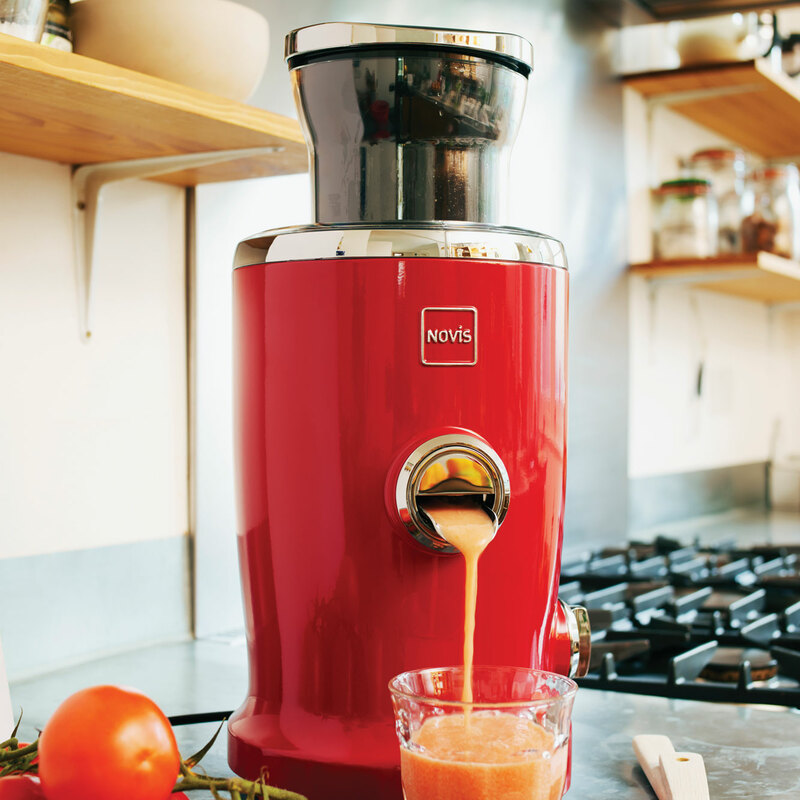 Its high-quality processing, the novel technology, product design and responsible handling of the materials used for the product and packaging, make the Novis Vita Juicer a world first in the field of kitchen appliances. 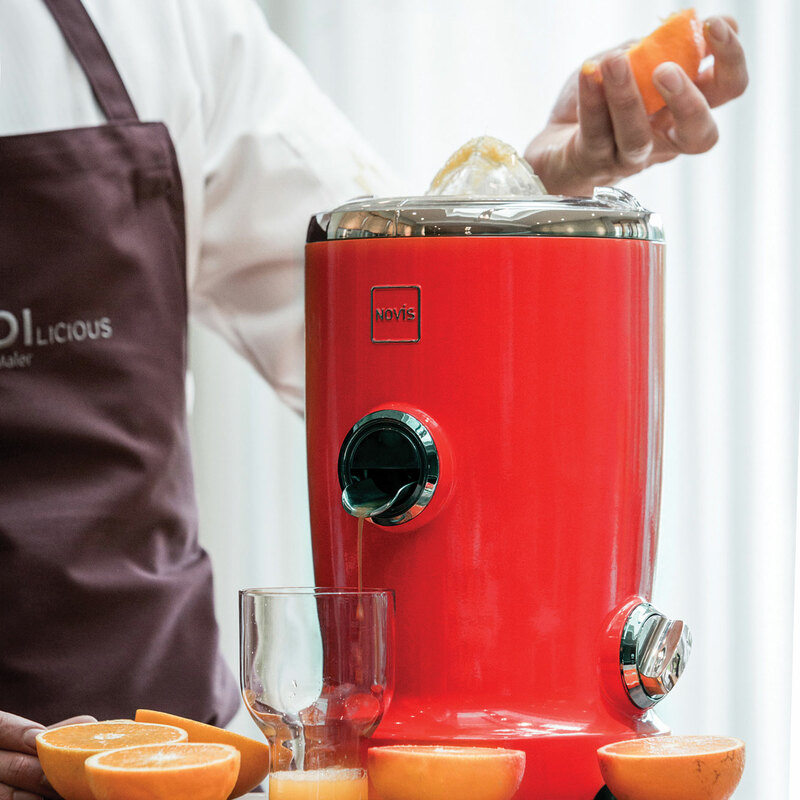 Thanks to the patented innovative combination of citrus press and centrifuge, considerably more nutrients remain in the juice which also gives it a wonderfully creamy consistency. Thanks to the special shape, fruit and vegetables can be easily fed into the centrifuge. 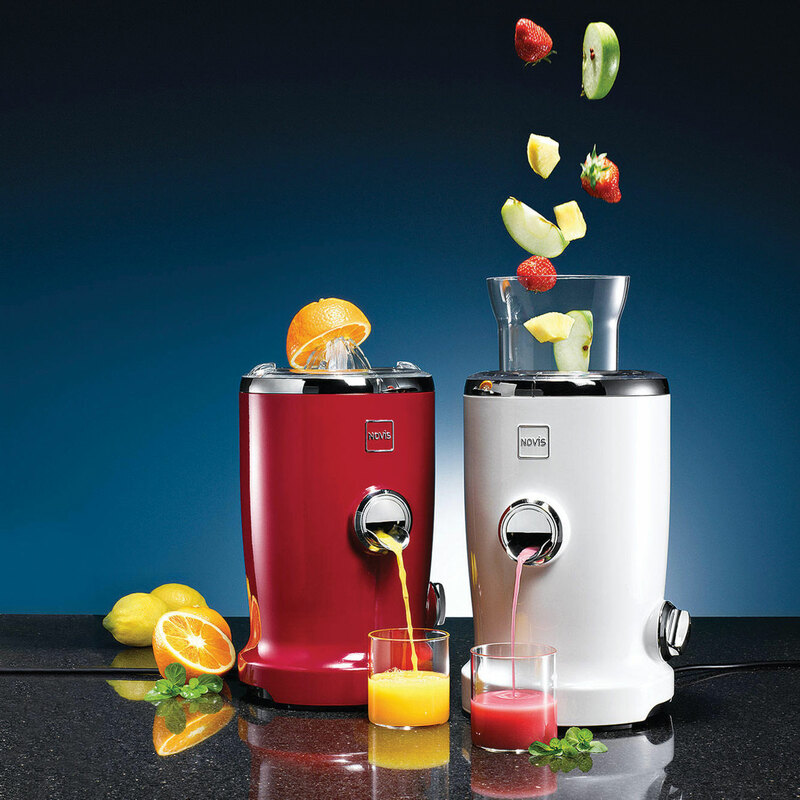 This eliminates the need for actively pushing in the fruit and vegetables, unlike conventional juicers. The shape allows carrots, apples etc. to be literally drawn into the appliance. 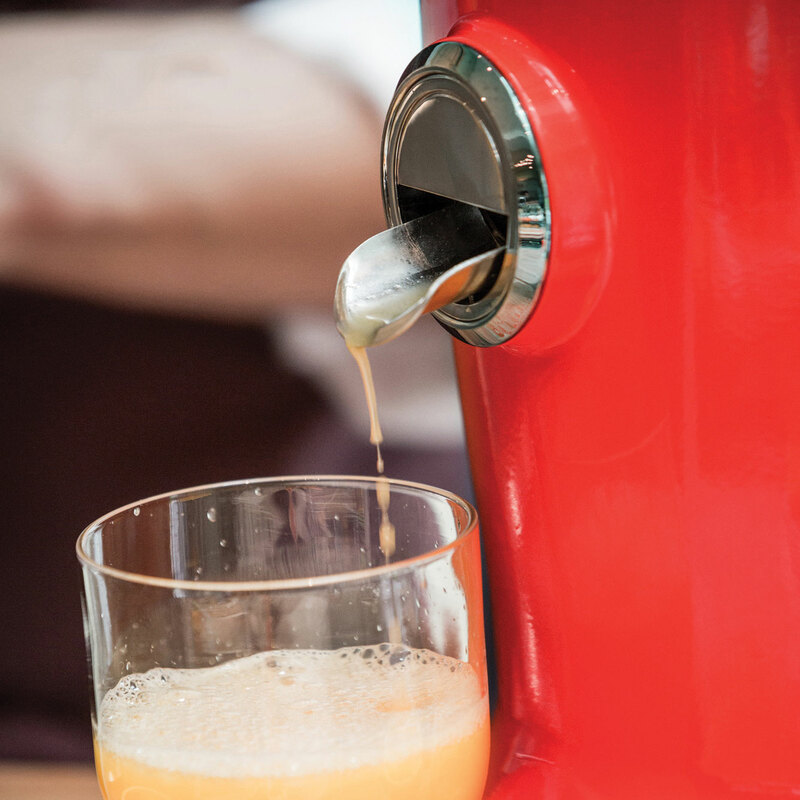 Aesthetics, technology and design combined in one brand-name product, resulting in the best looking and most compact juicer of its class, for natural energy and vitality. 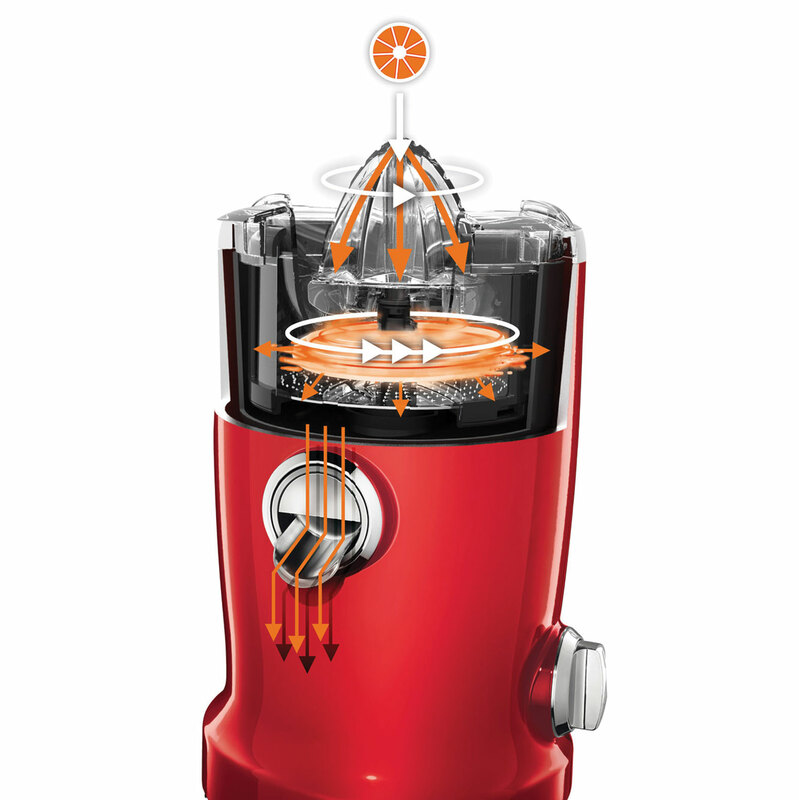 This higher extraction ultra-efficient design extracts more juice than most centrifugal or masticating juicers.